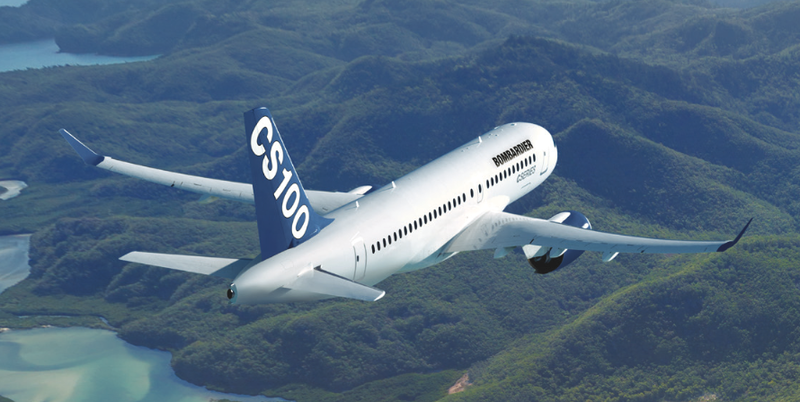 Home » Bombardier Aerospace » Bombardier: Tariff Row or Marketing Opportunity? By Letter to Britain in Bombardier Aerospace, Northern Ireland, UK on September 27, 2017 . If there is one industry for protectionism is not viable, its aviation. Of course you want to sell as many planes overseas as you can, but you can’t get everything your own way. The U.S. aviation industry may well lose orders from countries such as the UK and Canada-for military aircraft, for example-as a form of retaliation. Whether it’s true or not, many Republicans including U.S. President Trump feel the U.S. has ‘protected the world’ and ‘subsidized other countries’ for decades and they want this to change. I think America has subsidized the world (less so, in recent years) all we need to do is look at the U.S. Marshall Plan that paid billions to reconstruct Europe after WWII for example, and America carried the largest share of the western Cold War burden. Yet, other countries contributed too. Look at the Soviet contribution during WWI and WWII; In WWII, the Soviet Union kept the Nazis busy — giving the other Allied Powers time to ramp-up to tackle Nazi Germany. The Soviets lost 40+ million people in WWII alone. On the Atlantic side of things, the Brits kept the Nazis engaged until the U.S. finally joined WWII. During the Cold War, the Saudis sold their oil at production cost for 41 years as part of their Cold War commitment. So, I think the Americans are a bit off there. As always, thanks for the thoughtful comments! Perhaps protectionism might be workable for industries that are relatively self contained. Construction? Retail? Maybe agriculture? (I’m thinking of the Common Agriculture Policy here). Doesn’t work for aviation, unless possibly certain types of military aircraft. People, I believe, are thinking short term-not considering what happens when you alienate potential customers. Very happy that the last word on this post is your excellent comment.